Clean may not be the first word you think of when you hear “oil,” but the ELO183 oil furnace is just that. It’s built to deliver clean-burning and super-efficient combustion, which can save money and the environment. How? Greater energy efficiency means you probably use less energy and, 8in turn, spend less on your monthly utility expenses. In fact, this system has an annual fuel utilization efficiency (AFUE) rating of 83%, and its insulated cabinet keeps the heat in, reducing loss and maximizing efficiency. Ready to find out how the ELO183 oil furnace can make your home more comfortable year round? 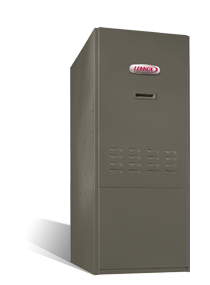 Need help with a gas furnace repair or want to schedule a gas furnace maintenance visit? We can handle it all. Our staff is trained, experienced and ready to help. Make an appointment or call 740-594-8381 for Athens or 740-654-4328 for Lancaster now.